MINERAL DE POZOS (POZOS) is located in the heart of Central Mexico… on the high desert, surrounded by the Sierra Gorda Mountains, with endless vistas…Whether your passion is … Art, Archeology, Painting, Photography, Sculpting, Writing, Hiking, Biking, Dining, Reading or Relaxing, Pozos will fill your days and your senses with a full palate of choices.Daytime is filled with any number of interesting forays into the surrounding countryside. With an altitude of 7,500 feet, vistas run to the hundreds of miles in every direction. 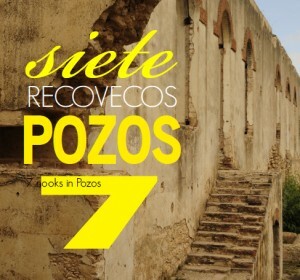 Exploring ancient ruins, old haciendas and churches are popular pastimes in Pozos. Visits to resident artists and sculptors provide an interesting glimpse into the creative talent that resides here. From Pozos you can take many interesting daytrips to visit such wonderful locations as San Miguel de Allende, Dolores Hidalgo, Queretaro etc. 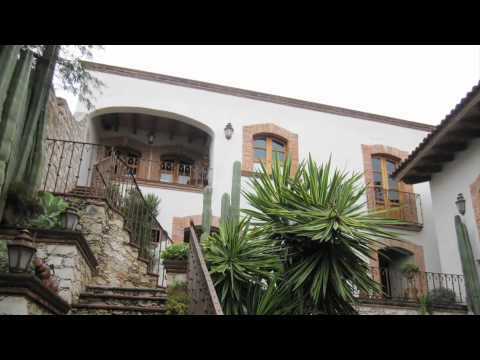 You will find the Pozos locals charming, warm and interesting. The foreign residents are friendly and always anxious to welcome you to the community. It’s common place to hear them say “I have more friends here than I ever had where I came from”. To date, we have foreign property owners from Australia, Sweden, Canada & the United States. Some retired, some have a business, some with second homes and some with land that they plan to build on. Events in Pozos include Blues and Mariachi Festivals, House & Garden Tours, Art Walks, Artisan’s fairs, Tours of the Mines and more. We have 4 seasons in Pozos and the weather is never harsh. Mineral de Pozos Awakens, Again! 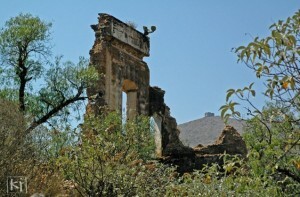 Since the mid-1990’s, Pozos has experienced another resurgence, but this one is fueled by the arts, modern and pre-hispanic, traditional music and culture set against a backdrop of the ruins of 300+ mines including the significant complexes of Santa Brigitta, Cinco Senores, Baldomera, Angustias and Triangula. This is a significant change from the first two growth periods that were driven by significant mining deposits. Although the region was visited by Friar Juan de San Miguel and a band of Franciscans in 1540 and there is a record of a settlement near what is now San Luis de la Paz in 1552, the first permanent Spanish construction in Pozos was actually one of a series of presidios, Palmar de Vega, in 1582 that were established to protect the mining caravans going to Mexico City. This Presidio was the result of a decades long war with the Chichimecas, actually the Janes & Pames as Chichimeca is an Aztec name. Along with the Presidio, Jesuits set up a mission to the indigenous people and found them to be wearing extensive silver jewelry that they had been mining in an open vein at what is now Santa Brigitta. The Jesuits expanded the mining and by 1590 the area was declared a Royal Mine and in 1595 the signature hornos, smelting ovens, were built. Mining took place at Santa Brigitta(silver & mercury) as well as Mina Grande, San Juan Reforma and Ocampo(gold & silver) in the “western hills”. During the Jesuit period Palmar de Vega was renamed San Pedro and then Real de Minas. This period came to a halt in 1767 when King Charles III ordered the expulsion of the Jesuits from all of New Spain. As a sign of things to come, Pozos and San Luis de la Paz fought the expulsion and the military was brought in to put down the uprising. Although the Jesuits were replaced by Franciscans, Pozos went into decline and almost disappeared in the period after the war of independence, 1810-1821. Additional mineral deposits were discovered in the 1850’s but Pozos didn’t experience a real 2nd boom till Porfirio Diaz came to power in the 1870’s and significantly loosened restrictions on foreign capital. This led to an explosion of mining that led to over 300 mines by 1910. Pozos was the 1st city in Guanajuato to have electricity, telephone and railroad access and the city was renamed Ciudad Porfirio Diaz in 1897 supposedly in appreciation but probably to curry favor. Diaz also had the Escuelo Modelo(Model School) built in Pozos as part of his education modernization. It is even said that the Mexican Bolsa, stock exchange, was formed to trade Pozos mining stocks. Although the official census of 1900 showed about 16,000 inhabitants the unofficial count was 50,000-75,000 with itinerate miners. Things started to change in 1982 when Pozos was one of four cities in the state of Guanajuato named to the initial National Registry of Landmarks. Even today, only 40 Mexican cities carry this designation. Then in the mid-1990’s, the 1st small hotel opened and the movement of Pozos toward it’s present mix of pre-Hispanic music/culture and more modern hotels, restaurants and festivals began. The latter includes the annual Toltequidad, Mariachi and Blues festivals along with equinox and solstice celebrations. This all positions Pozos as a unique and fascinating place in which to live and visit. There are over 70 buildings within the historical zone that have been declared historical landmarks, many untouched in 100 years, and these don’t include some dozen historical mine complexes that are there for easy exploration.